Imagine you’re in a supermarket and you’re looking for biscuits. You found the brand you prefer and what’s the first thing you check? The price or the expiration date? The price, of course. If the price is too high, you won’t even bother to check whether it’s going to be good to eat in the next couple of days. On the other hand, if the price is satisfactory, you will probably make a purchase. This means that prices are very important to us, even when we talk about food. So, let’s check out HelloFresh prices before we start talking about the quality of service. HelloFresh offers three different meal plans, including Classic, Veggie, and Family. Obviously, HelloFresh prices are different for each of these plans. The Classic plan offers the biggest variety of excellent recipes and quality ingredients. You can choose from 15 dinner ideas on the weekly menu and order up to 4 recipes a week for two or four adults, whatever suits you better. HelloFresh prices are counted per serving and the price depends on how many meal kits you order per week and how many people you are cooking for. If you are cooking for 2 people, you pay $9.99 per serving if you order 2 recipes and $8.99 if you order 3 or 4 recipes. When cooking for 4 people, you pay $7.49 per serving. 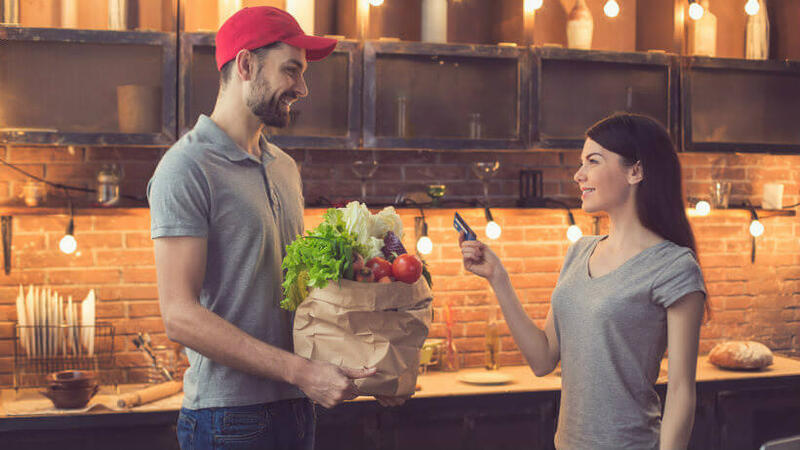 Thus, a weekly delivery containing 2 meals for 2 people costs $39.96, a delivery with 3 meals for 2 people costs $53.94, and 4 meals for 2 people cost $71.92. A delivery containing 3 meals for 4 people costs $89.88. If you opt for a 2-in-1 Dinner 2 Lunch recipe, that is, a dinner recipe that comes with an optional lunch add-on, you can get a 2-serving lunch add-on for $10. The Veggie plan is primarily made for vegetarians, but if some of you meat lovers would like to change your everyday diet, you can also give it a try. It provides a great deal of seasonal produce and meat-free proteins followed by chef-created recipes. The Vegetarian plan doesn’t provide as many options as the Classic plan, though. You get three handpicked meals every week. The price is $8.99 per serving if you are cooking for 2 and $6.99 per serving if you are cooking for 4 people. That means that you pay $53.94 per week for 3 meals for 2 and $83.88 per week for 3 meals for 4 people. The Family plan is created to fulfill the dietary needs of both children and adults. With this plan, your family can get 2 or 3 out of 9 meals on the menu every week. Each meal includes two servings for adults and two for kids. Family meals cost $7.87 per serving if you order 2 recipes and $7.49 per serving if you order 3 recipes in your weekly order. Therefore, you pay $62.96 for 2 meals for 4 people and $89.88 for 3 meals for 4. HelloFresh prices go down as your orders go up, so don’t hesitate to double your serving or add a meal or two to your regular plan. In addition to that, HelloFresh gives a $15 discount to patrons who subscribe to its newsletter and offers regular discounts for first-time customers. And if you decide to skip a week for any reason, you can do it completely free of charge. All you have to do is change or cancel your order. It’s completely free if your order hasn’t been processed yet, so make sure you cancel it at least five days before the delivery date. Not long ago, HelloFresh was one of the rare meal kit services that offered free shipping on all orders. However, times have changed and following the lead of its main competitors, HelloFresh started charging for shipping, with the standard fee being $6.99. The only exception to the general $6.99-per-order rule is the 2-recipe box for 2 people with the Classic plan, which comes with a $7.99 shipping fee. HelloFresh provides all-natural, high-quality ingredients sourced from the best local farms and ocean-friendly fisheries. Its recipes are crafted by professional chefs, including the world-famous celebrity chef Jamie Oliver. Its menu is characterized by great diversity and the recipes are suitable for home cooks with varying cooking skill levels and dietary needs and preferences. Thus, with HelloFresh, you get to enjoy quality, variety, and convenience all wrapped into an attractive and adequately priced package. It is also worth noting that with HelloFresh, you get to enjoy lower prices if you order more food per week and you can expect a nice discount if you are ordering for the first time. Unfortunately, shipping is not free, but the fees are not higher than with other meal kit services. To find out more about what HelloFresh has to offer, check out our detailed review. After you get all the information, making a decision will be a piece of cake.